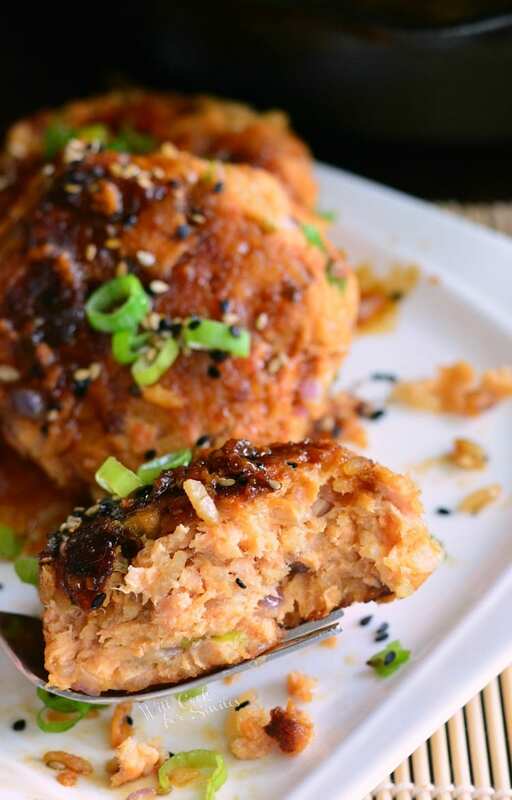 These outstanding salmon patties are soft, flaky, and packed with flavors. 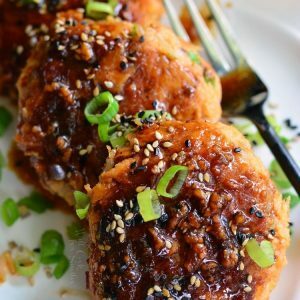 They are made with rice and teriyaki flavors inside as well as an easy teriyaki sauce for dipping. 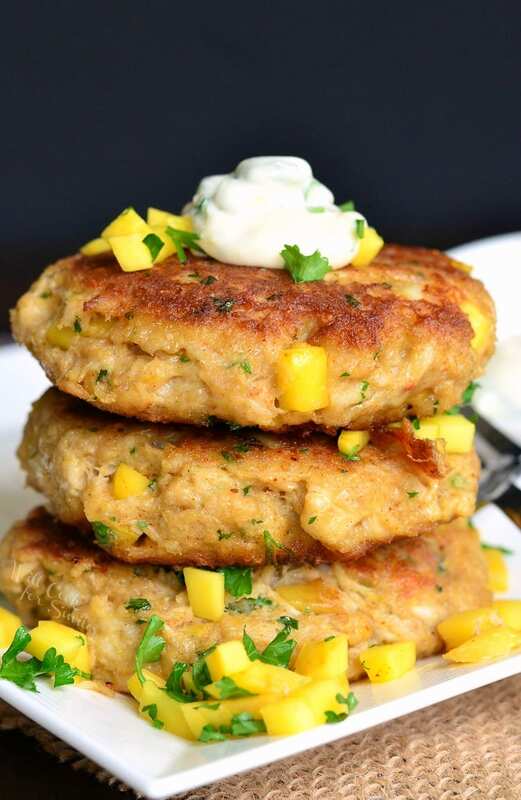 Salmon patties are a classic recipe and a family favorite for many. Taking my picky son and husband who doesn’t like seafood aside, everyone else in my family LOVES salmon. This recipe can be perfect for a family gathering or a holiday dinner. 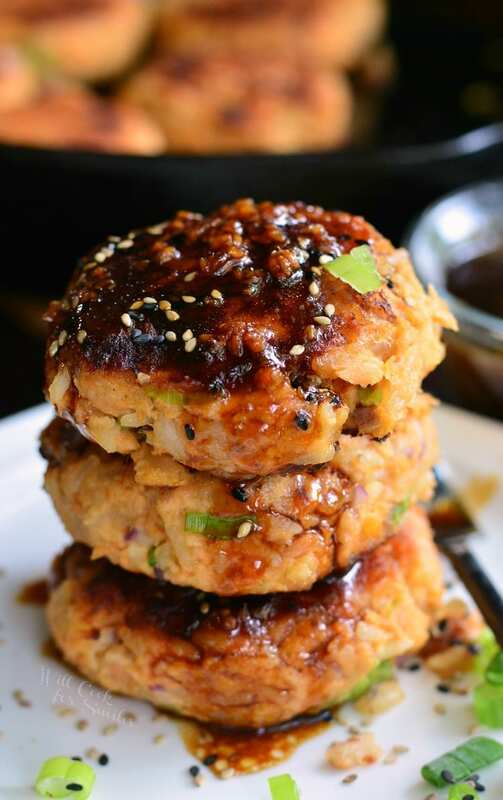 Salmon is wonderful paired with teriyaki flavors so I paired it with a delicious sauce and added teriyaki sauce essentials inside the patties as well. To achieve the teriyaki flavors in the patties, I added fresh ginger, garlic, say sauce, and maple syrup for sweetness. 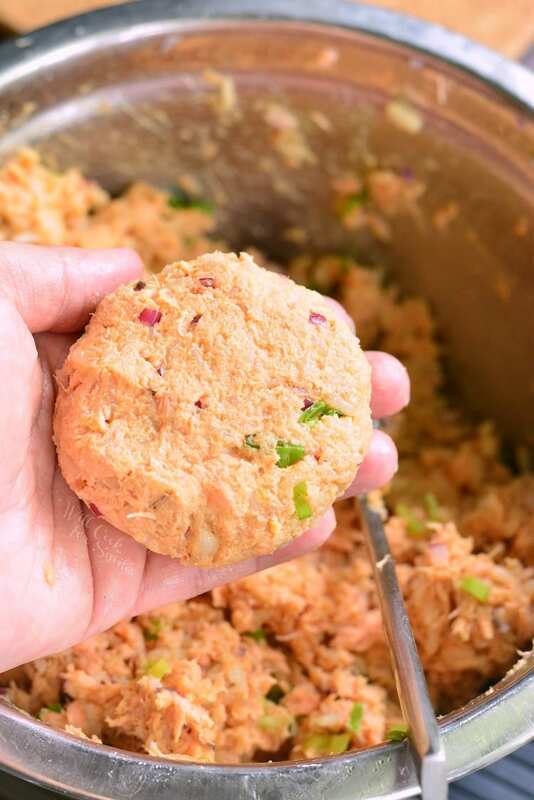 Adding cooked rice right into the patties makes them hearty and a complete meal on their own. Of course, you can put together a quick salad on a side or serve it with your favorite veggies for a healthy dinner. There are basically two ways to make salmon patties. One is good when you don’t feel like spending extra time in the kitchen, or the family won’t stop hovering and asking when the dinner will be ready. The other way is when you have a little extra time and you can spend it on a tastier salmon patty. 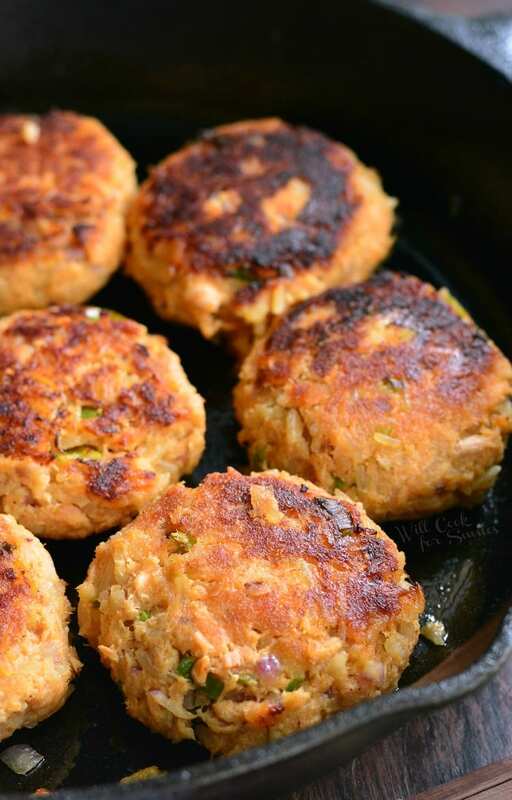 Salmon patties can be made with fresh salmon or with canned salmon. When using fresh salmon, you will need to season and bake it first. This step will only take about 15-20 extra minutes but sometimes, we don’t have that extra time. 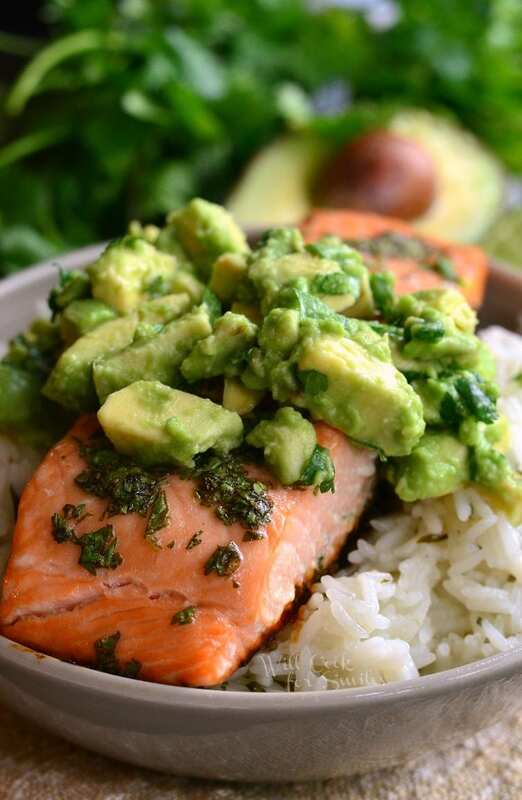 When using canned salmon, make sure to pick out all the bones and skin first and just use the salmon meat. When it comes to taste, I am partial to using fresh salmon and baking it first. You can really taste the difference of salmon meat in the patty. 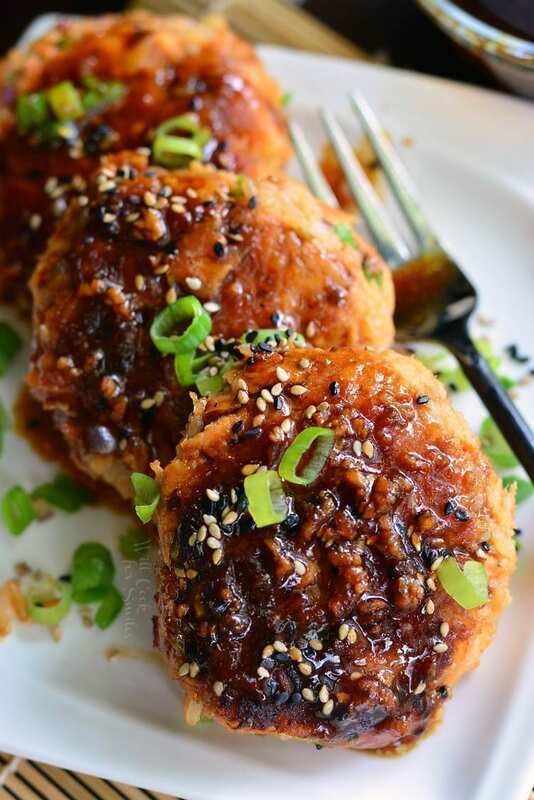 They are made with rice and teriyaki flavors inside as well as an easy teriyaki sauce for dipping. Cook rice in salted water per package instructions. Take off heat when it's just done. Fluff it up with a fork from time to time as it cools. Preheat oven to 425 and cover a rimmed baking sheet with aluminum foil and grease it. Rub the salmon skin with some oil and place the fillet skin down on the prepared baking sheet. Season with some salt, pepper, and garlic powder. 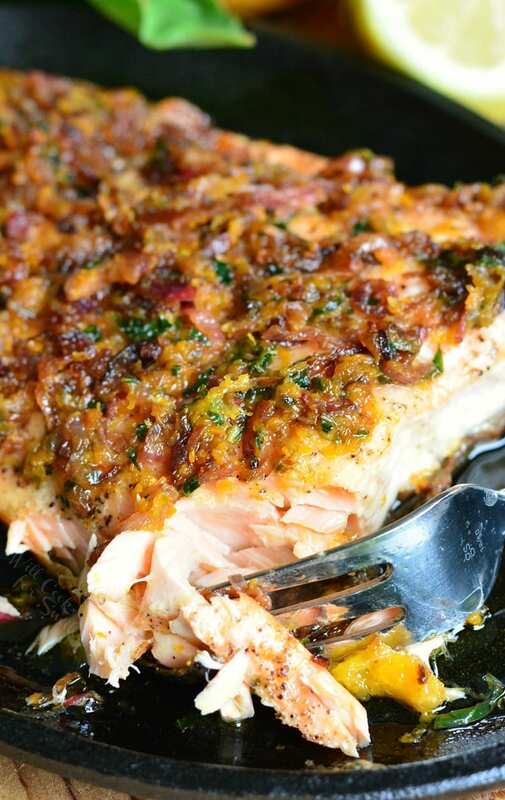 Bake salmon for 15-20 minutes, depending on the thickness of your salmon fillet. Once salmon is done, take it out and set aside to cool. Add rice to the mixing bowl. Add red onion, green onion, pressed garlic, grated ginger, eggs, crumbled bread, soy sauce, and maple syrup t the mixing bowl as well. Gently mix everything together until completely incorporated. 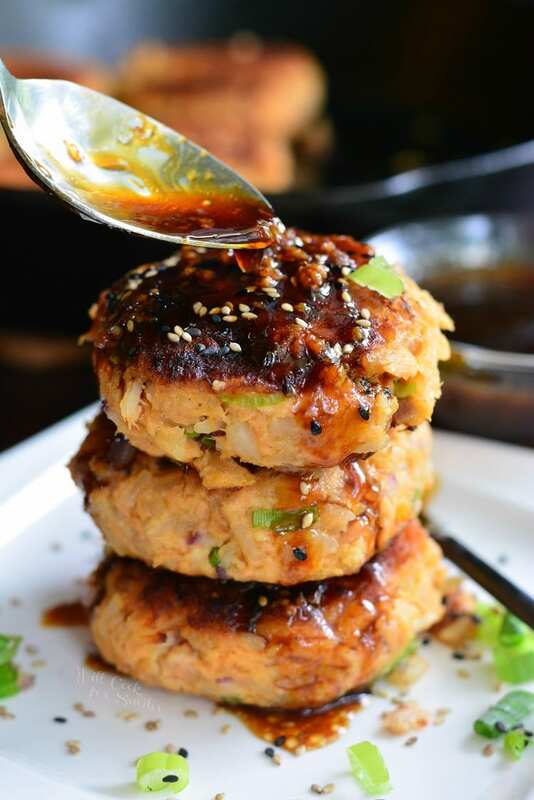 Form salmon patties that are about 3 inches in diameter and little more than 1/2 inch in thickness. Preheat a large skillet over medium heat and add 3-4 Tbsp of cooking oil. Place patties into the skillet and cook for about 5-8 minutes, until golden brown. Flip to the other side and cook until golden brown. Combine all the ingredients for the sauce in a small mixing bowl, whisk well. Heat sauce pot over medium heat and add teriyaki sauce mixture. Cook for a few minutes, until heated through and thickened. Serve with cooked salmon patties.